Amanita muscaria pushing up from the forest floor. On the northern hemisphere forest floors, this is the season to discover and examine mushrooms and toadstools. Mushrooms are edible fungal growths taking the form of domed cap on a stalk, while toadstools are similar but traditionally poisonous. This world of the forest floor is a dangerous place for casual and naive human visitors. Beware. Amanita muscaria from underneath…now where is that dwarf? 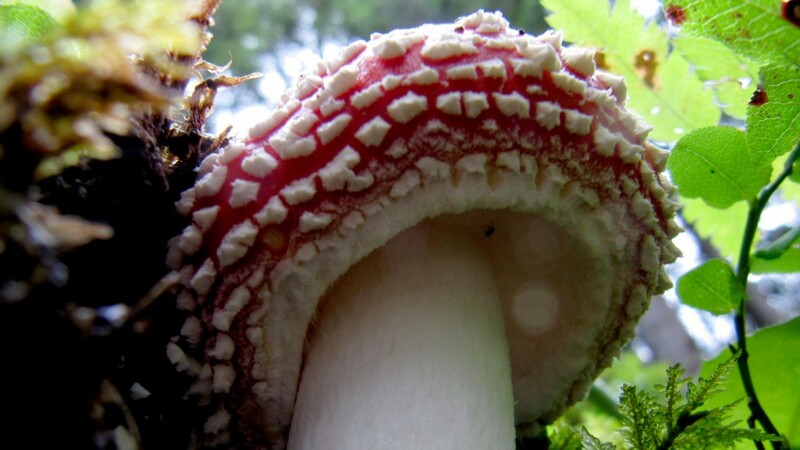 With its bright red, white-spotted cap the fly agaric (Amanita muscaria) has delighted people since time immemorial. It is inedible (with a psychoactive asterisk, a risk) and yet considered one of the most attractive and most familiar species of fungi–a subject of many myths and fairy tales–valued also as a good luck charm. 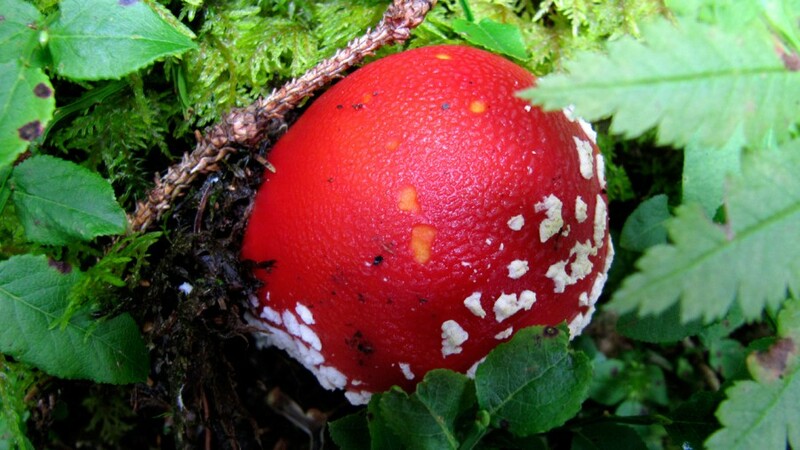 Its white-spotted, red cap covers the head of a dwarf who carries out all sorts of mysterious activities in the forest. Correct me if I am wrong but anyone who has silently walked through a rich, multi-layered forest knows that there are movements that strangely occur…movements on the edge or just beyond the capacity of our senses. Algernon Blackwood’s short stories examine those areas. I’ll say no more. But I would appreciate the comments from readers who themselves have experienced, in the forest, that which cannot be explained.